J.D. Power Canada says that 23 per cent of new vehicles sold in the first quarter this year were from the 2016 model year. Never before have Canadian dealers sold so many new previous-model-year vehicles in the first quarter of a calendar year as they have so far in 2017, a sign the market is weakening, according to J.D. Power Canada. The research firm says that 23 per cent of new vehicles sold in the first quarter this year were from the 2016 model year. By comparison, 15 per cent of new cars sold in the first quarter of 2013 were from the 2012 model year. 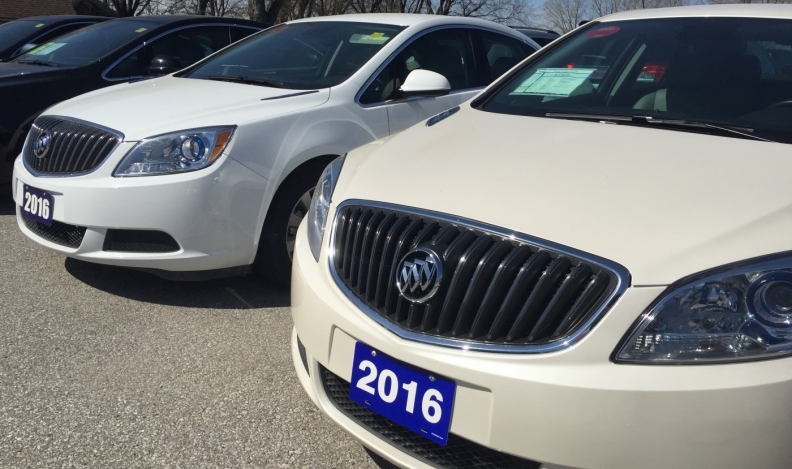 It is taking “substantially longer” for dealers to clear-out old inventory. J.D. Power Senior Manager Robert Karwel said it’s one sign that automakers are overproducing. “We can only count which ones have sold and how many of those were from the model year 2016. But this is a fascinating subject because its growing, and I don’t think many are aware of it,” Karwel said. “It’s a bubble, and its building. The manufacturers have to deal with this. Automakers don’t publicly report inventory and the number of days to turn in Canada the same way they do in the United States. But J.D Power, working with LMC Forecasting, estimates there were 71 days to turn at the end of the first quarter. That’s up five days over the same quarter in 2016. It’s a similar story in the United States where there is a 73-day supply, up eight days from a year earlier, according to the Automotive News Data Center in Detroit. None of the automakers has slowed production. That’s because the most important thing for a manufacturer to do is to keep a factory running at capacity “because it is absolutely most efficient at that point in terms of costs,” Karwel said. “If they are overproducing and cars are sitting longer, that is then an issue that can be worked around to a certain extent, by using incentives,” Karwel said. “This can’t go on forever, so an adjustment will have to come,” he said. Inventory is building and older models are lingering on lots longer for a couple of reasons, Karwel said. Overproduction is the first reason and a change in consumer tastes is another. There’s been a consumer shift from cars to trucks and “the pipeline cannot adjust quickly enough, and cars are sitting on lots longer and longer,” Karwel said.